Is there any point in blogging? Don’t get me wrong, blogs are great if you want to see oil portraiture of ugly Renaissance babies or Kim Jong Il photoshopped unconvincingly onto North Korean civil engineering projects. Personally, I think blogging – saying whatever you want online – is one of the most narcissistic things you can do. But I do think there’s a point to it. Here’s why. In publishing, it’s received wisdom to think of your readership first: before you do anything think of who you’re writing for. Now I don’t think that’s the case with blogging, or at least, you can get a lot more out of blogging if you let go of that idea. I’d say blogging is all about who’s writing. It’s all about you. It’s you letting the world know your thoughts. It’s like self-help psychoanalysis, it’s like having your own private shrink. At a recent GDS #BlogCamp event, Giles Turnbull summed it up, saying “your blog is your organisation’s brain on the internet”. You can blog about what you’re working on, blog about the stuff you’re not sure about, blog about your mistakes, blog about nascent ideas, blog about things that you want to do but can’t yet do. It reminds me of an idea from Silicon Valley about carrying around a plastic toy duck with you and talking to it. Bear with me here. 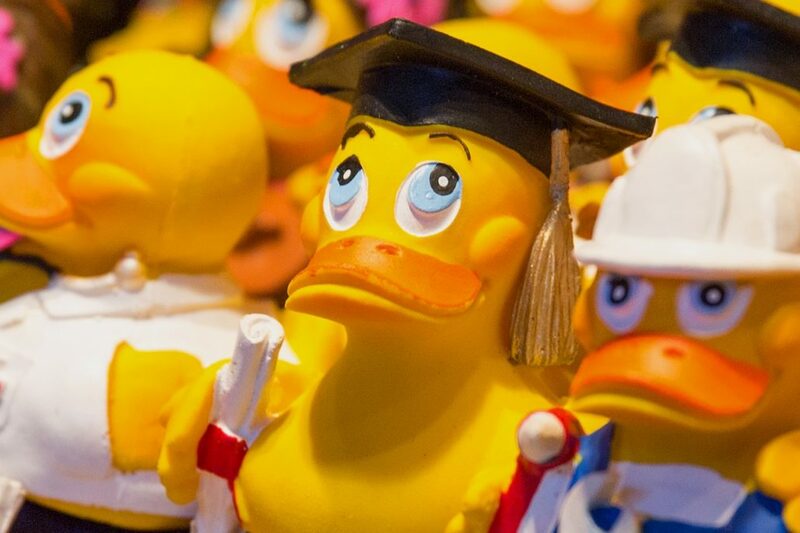 ‘Rubber ducking’, I’m told, is a process where developers take an inanimate object (like a rubber duck) and try to explain their coding bugs to it — the theory being that articulating the problem helps them to solve it. I’ve never seen this in practice, and honestly, if I saw our tech lead explaining the latest release to a plastic duck on their desk I’d probably ask them if they were feeling okay. But as a way of forcing yourself to really think about your problems, failures or goals, I think it’s a good idea. And it’s exactly the same as blogging. GDS have blogged about getting titles wrong and how you can learn from making mistakes. Being open about mistakes actually promotes a culture that feels free to experiment and work without the fear of failure. I think blogging is all about this. All about you, thinking out loud. Sometimes inappropriately. Always narcissistically. And I don’t think that’s a bad thing! I also think there’s a role for blogging within multidisciplinary teams. It’s not something I’ve done yet, but I think it’s worth considering. The app I’m currently working on relies on a very diverse team of highly skilled specialists, and I’d be lying if I said I know everything about what they all do! We have product owners, BAs, quality assurance, information architects, tech leads, back end and front end devs, user researchers, UX designers, service designers, interaction designers, delivery managers, heads of profession, and, finally, content designers. We all have our own pressures, our own idea of what good looks like, our own wants and needs from the team. For example, as a content designer, I have to ensure anything that gets built is of direct value to our users and has been validated by users through rigorous research and testing. Developers, on the other hand, have to ensure that anything that gets built is practical, robust, timely and affordable. Allowing each team member to blog about their work could be a great way of making these pressures transparent across the team, and could encourage a more joined up way of working. Blogging could also perhaps help embed new disciplines into a team. Content design is the newest discipline in my team at the moment, and it’s not always clear to everyone why’s it’s important, why it’s hard, and the skills involved in doing it well. I think a blog for our team would be a good way for each individual to explain their own value and their gripes. Like I say, I think blogging is one of the most narcissistic things you can do. But I think it’s worth doing. IR35 and what it might mean for content designers What is CPD and why does it matter?